I loathe media guys, in general. I respect the heck outta quite a few media guys, specifically. That’s the best way I can put it, because there is an insidious pretentiousness in many media guys in their approaches and reactions to coaches and players not wanting to deal with them. I get it…they have a job to do, and they have every right in the world to do that job. The problem is, everything isn’t the media’s business to know…at least not before or during certain moments, situations and circumstances. 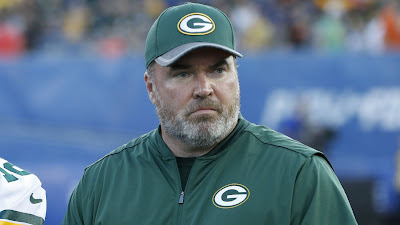 Let’s take Coach McCarthy of the Packers for example. He’s often ridiculed, or simply ‘taken to task’, for his interaction with the media; particularly during press conferences. Most recently, this was the case with how he’s handled the Brett Hundley vs Brian Hoyer mess. Initially, he was called many negative things in articles, from deceitful to a blatant liar. What we’ve now learned, is that none of that vitriol was even remotely accurate. Instead what we know is that the “Packers’ interest in Hoyer” was nothing more than people in the organization following due diligence; also sometimes referred to as ‘doing their jobs’. However, for the sake of argument let’s assume it WASN’T due diligence and the Pack genuinely were interested in Hoyer. What the media would then have demanded of McCarthy wouldn’t have even made any sense. For him to “come clean” about interest in Hoyer, means he’d have been obligated to stand at the podium and not only admit that after literally 7 quarters of football, he had little to no faith in his now starting QB, Hundley….and/or subsequently that he has the same for his backup, Callahan. While both of those things COULD very well be true, they’d be terrible for him to divulge to the entire world while he’s simultaneously trying to prepare both of them. It’d not only be terrible for the confidence I’m sure he and his staff are working their tails off to instill not only in them, but the rest of the roster around them, but it’d be blatantly disrespectful to them and the time that’s been invested in their development. Ultimately, the problem is not the media asking questions…but instead, much of the media’s unfounded belief that the people asked are somehow obligated to answer any and all of their questions; regardless of the operational or personnel impact they may have. I’m not opposed to the media pushing an issue, and many uncomfortable questions certainly deserve to and should be, asked. However, a coach or player fielding said questions shouldn’t be roasted because they chose, in a moment while standing at a podium, to decline to comment or disrespect a question asked out of shortsightedness….or worse, because a butthurt writer happens to be in dire need of some click-bait for a slow “news” week.